Looking for a great "Fashionable" promotion? Our line of fold over elastics is a simple, universal accessory to wear with any outfit, for any occasion. Worn by many celebrities, our handmade elastics are the latest trend. Not only are they completely versatile, but they won't leave a dent in your hair like traditional hair elastics. 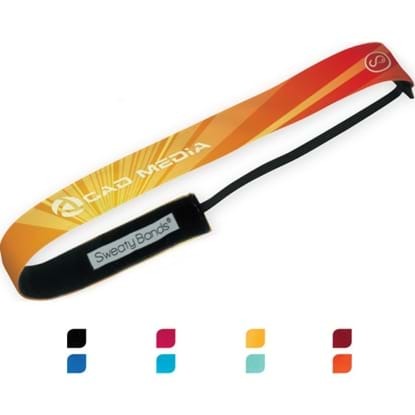 This stretchy elastic headband is a fun giveaway to hand out during tradeshows, conferences and seminars. Don't miss the trend and "Head" for success by ordering these fantastic hair ties today. 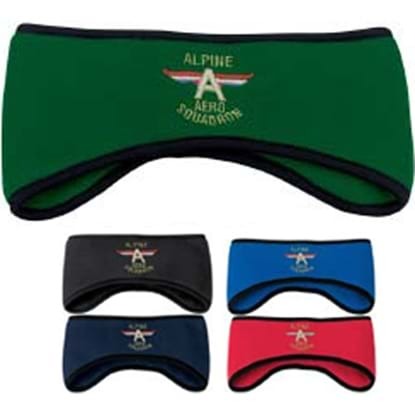 The Sweaty Bands (R) Headband measures 20" in circumference and its inner velvet lining won't slip while you move. One size fits most ages 7 & up; approximately. Hand wash, drip dry. Perfect for winter sports and fun; choose this handy marketing tool to be featured during your next event. 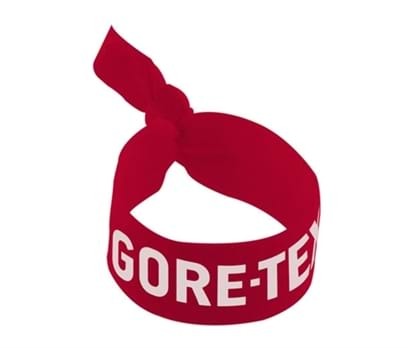 This 100% polyester fleece ear band with black trim is great for tailgating. Choose one of the bold colors and add your logo to create a terrific giveaway to help promote your business. People will think of your company while keeping warm on the slopes or cheering on their favorite team. Great for tailgating! Pack of 144; make sure to order yours today. Mypromotionalpens.com offers the largest and best priced selection in Promotional Hair Ties & Bands. We will price compete and we won't be under sold. Let our graphic designers make your personalized Hair Ties & Bands standout above the crowd at no charge. We won't stop until you are completely satisfied with your custom Hair Ties & Bands art proof.Use category search filters on your left to help narrow your search to find exactly what you are looking for.